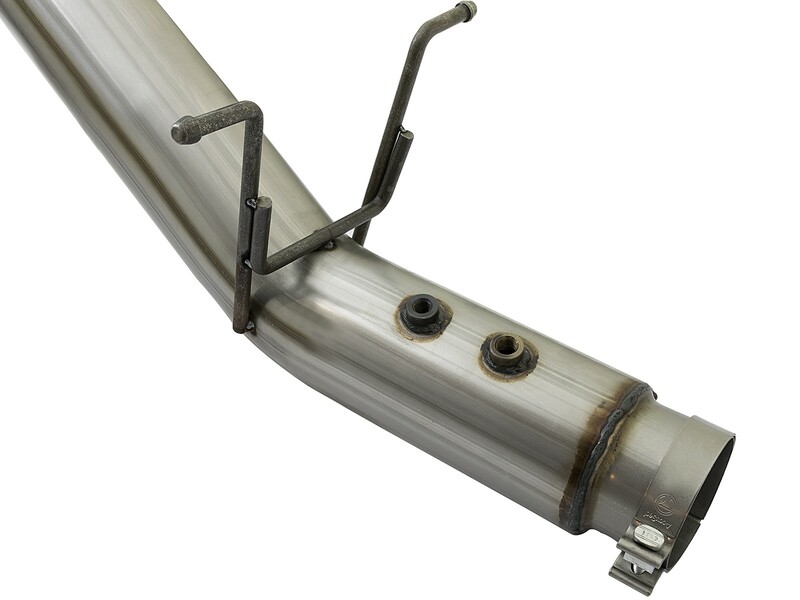 High quality band clamps are included for a complete 360-degree sealing surface. 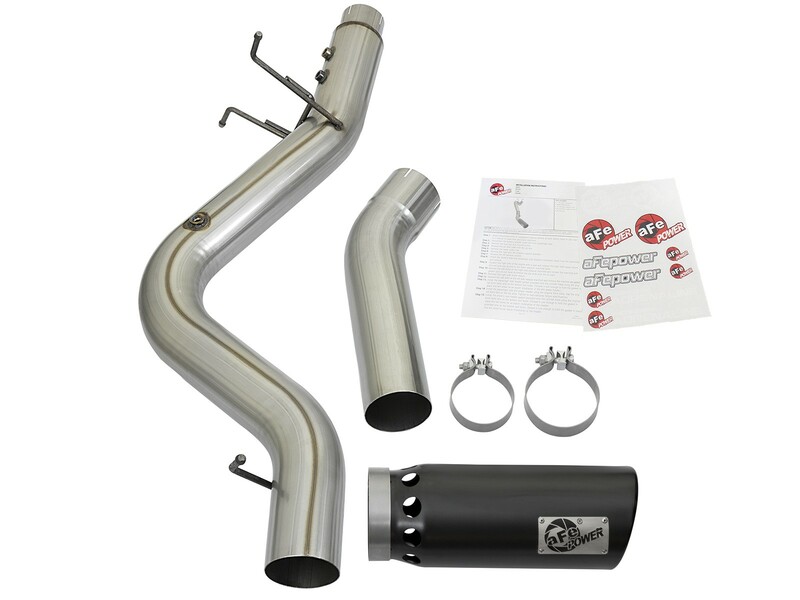 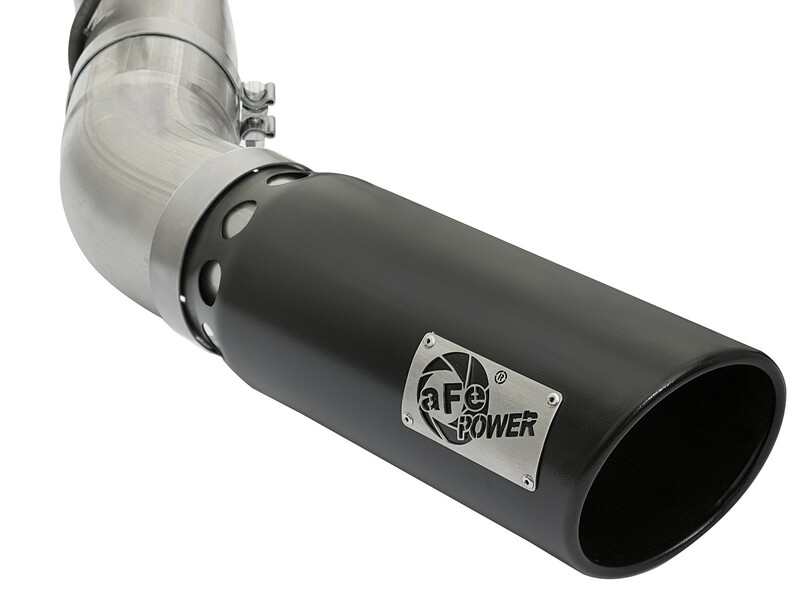 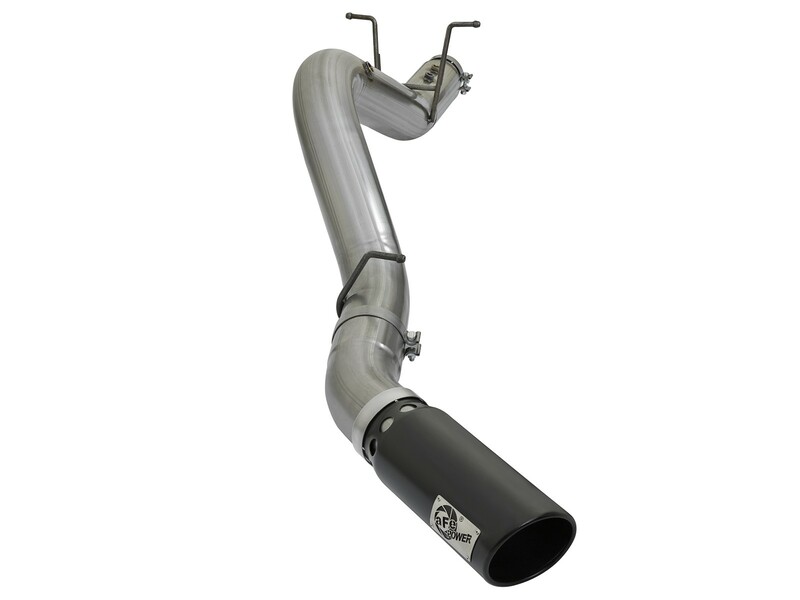 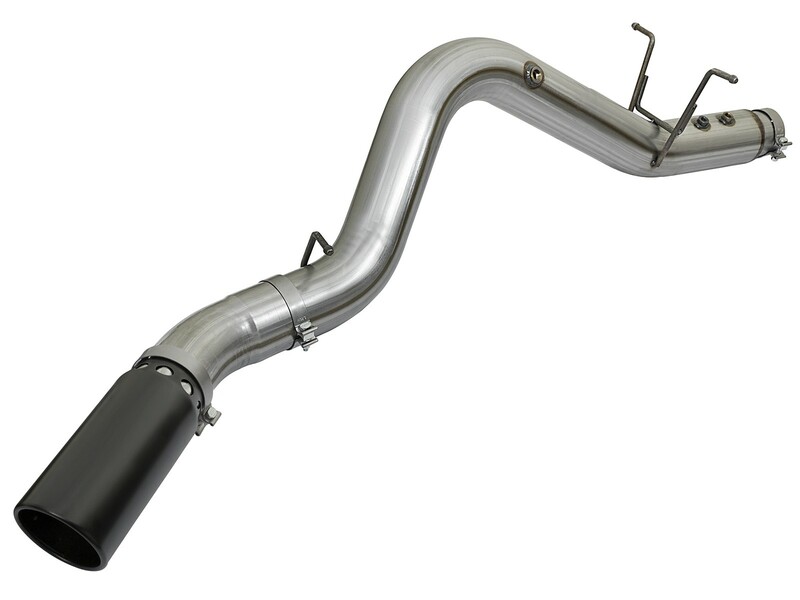 This Large Bore-HD exhaust system is constructed of 5" mandrel-bent 409 stainless steel tubing for maximum flow. 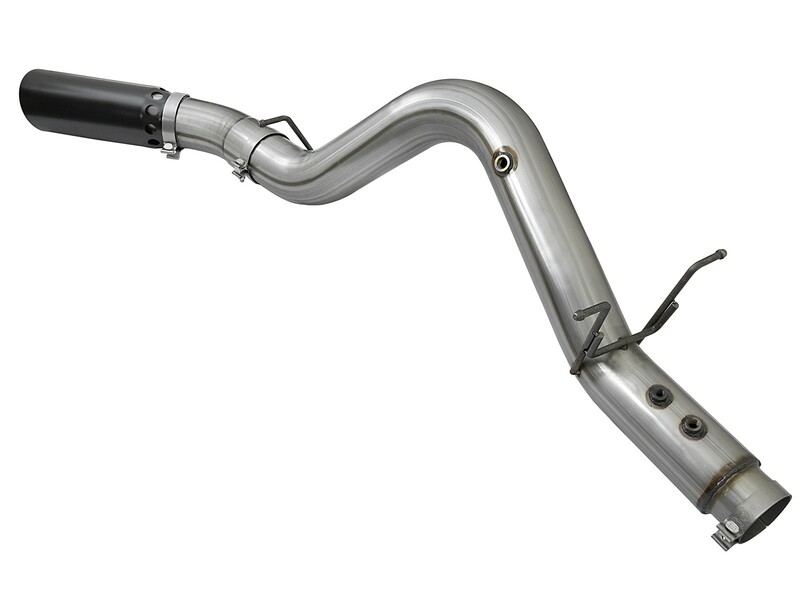 Smooth transition bends allow for low turbulence, increasing horsepower, torque and lowering EGTs. 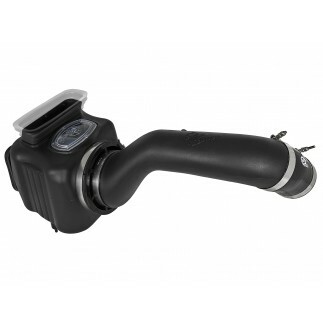 Cutting the stock exhaust behind the DPF (Diesel Particulate Filter) is required for all cab configurations. 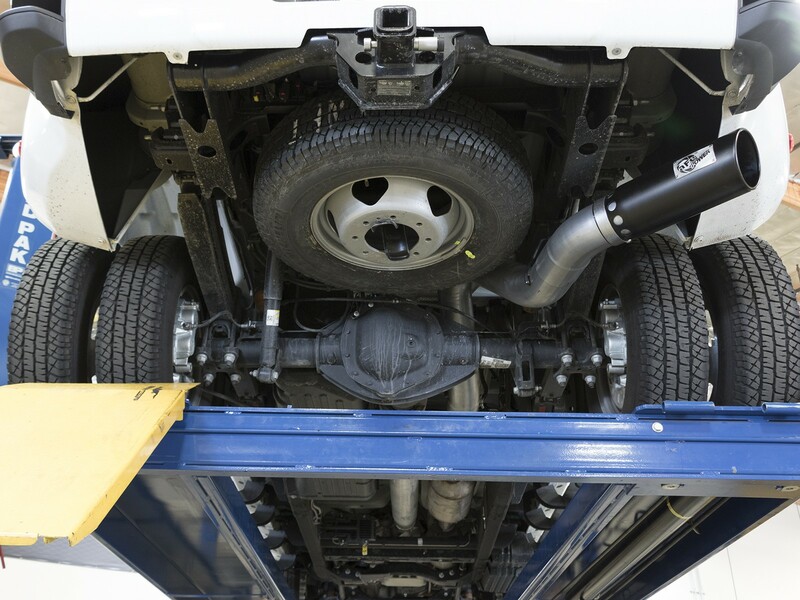 (see instruction sheet for cut locations listed on all wheelbases applicable).